For those who are not aware, today, 24 March 2009, is the first Ada Lovelace Day. It is a day to celebrate women in technology and to inspire young girls who are interested in technology. So who was Ada Lovelace? 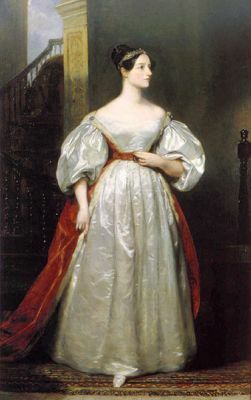 Ada Lovelace, né Ada Byron, was the result of Lord and Lady Byron‘s short lived marriage. In order to prevent her daughter taking on her father’s dangerously poetic traits Lady Byron had her daughter taught mathematics and music. The young Ada was fascinated by mathematics and when she was 17 she met Charles Babbage, then Lucasian Professor of Mathematics at Cambridge (a position currently held by Stephen Hawking). Their copious correspondence made them life long friends. Ada eventually married and by way of inheritance became Lady Ada of Lovelace but she continued her friendship with Babbage. Even though the Difference Engine was not complete Charles Babbage wanted to move on to his next contraption, the Analytical Engine. In order to be easily configurable, i.e. programmable, the engine was to utilised the punched card idea from the Jacquard Loom. In 1842, while Babbage was trying to get sponsorship from abroad to be able to build his device, Italian Mathematician Louis Menebrea published a memo on the Analytical Engine in French. Babbage employed Lady Lovelace to translate it for him. But Ada Lovelace did more than just translate the document but furthered the research and the notes she wrote to accompany the paper are larger than the paper itself. In the notes Ada Lovelace described how you could configure the Analytical Engine to produce a sequence of Bernoulli Numbers. This was the first ever computer program and she was the world’s first programmer so it seems fitting the day is named after her. She also has the ADA programming language named after her too. But Lady Lovelace was not completely unaffected by her father’s legacy and when her peers were seeing such devices as merely scientific and mathematical machines she saw how computers could be artistic, used to make music or be used in graphics. But this post isn’t about Ada Lovelace. It is about Lynn Conway who is a heroine of mine and an inspiration. It think she quite rightly deserves to be blogged about on Ada Lovelace Day. Lynn Conway is Professor Emerita of Electronic Engineering and Computer Science at the University of Michigan. She retired from teaching and research in 1998. Professor Conway is responsible for many advances that are required for modern computing and much of her work was carried out during a time when women were virtual non-existent in computer sciences and misogyny was rife. I was not sure whether I should talk about Lynn Conway’s earliest work as she is a trans-woman and her earliest work was prior to transition. I was reluctant because I wanted to write about Lynn Conway the woman technologist and not her biological past however Ms Conway is open about her past and it does not detract from her achievements. In fact it makes them even more inspiring. Lynn Conway entered MIT in 1955 where she excelled. She tried to transition whilst there but the medical and social climate was against her so she left despondent and worked as a technician for several years. She resumed her education at Columbia University obtaining her batchelor’s degree in 1962 and her master’s a year later. She was subsequently head hunted by IBM to work as a researcher on the Advance Computing Systems project. Whilst at IBM Lynn Conway invented dynamic instruction scheduling. Micro-processors have many functional units which can operate in parallel. I do not mean multiple core processors but units that are part of a single core. As a simplist example we can consider a processor that has separate addition and multiplication units. I.e. the processor can add a pair of numbers and multiply a pair of numbers simultaneously. Conway’s idea was to utilise this parallelization by re-ordering instructions in a program dynamically to suit the processor’s architecture. For example supposing a set of instructions comprising two additions followed by two multiplications performs a mathematical calculation. And suppose you could do the same calculation as addition, multiplication, addition, multiplication. I.e. you swap the second and third operations. Then this would be more efficient since the processor can do those additions and multiplications simultaneously. The rearrangement would be dynamic, i.e. the tools or processor would do it and not the programmer. This is dynamic instruction scheduling and is core to modern computer science. Whilst at IBM the depression caused Professor Conway to attempt transition again and it was during this transition she was fired by IBM for being a transsexual person. She completed her transition, changed her name, hid her past, and started her career again from scratch. 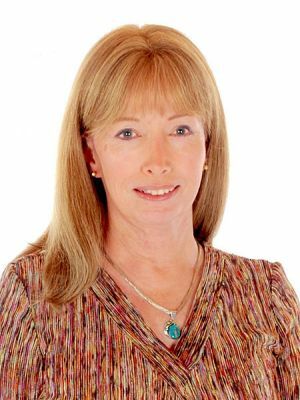 Lynn Conway worked firstly as a contract programmer and then for Memorex as a system designer and computer architect. Then in 1973 she moved to, the famous Xerox PARC, where she led the Large Scale Integration Systems team. Whilst there she collaborated with Professor Carver Mead of Caltech. Between them they wrote the classic text Introduction to VLSI Systems. This text spearheaded the Mead and Conway Revolution whereby the number of engineers capable of developing new chips significantly increased. The book filled a major gap in the literature and formed the basis of an educational revolution in computer science. Many universities started teaching VLSI courses based upon the book and some even used Conway’s notes from her own, now famous, course held at MIT in 1978. The course on its own would not have been that useful if students were not able to realise their designs so, in addition to inventing design rules which simplified chip design and design tools, Professor Conway also worked on an internet based infrastructure that allowed for rapid prototyping and short run fabrication of a large number of VLSI designs. The Multi Project Chip was demonstrated at the MIT course and within weeks students had their fabricated prototypes for testing. The system evolved and is still used as a national infrastructure by universities and researchers. Lynn Conway’s work has had significant impact on chip design. In the early 80s Ms Conway moved to DARPA and in 1985 she became Professor of Electronic Engineering and Computer Science at the University of Michigan and associate dean of engineering there. She stayed there as a researcher and teacher until she retired in 1998. Most people don’t invent anything during their lives. Lynn Conway not only had one major invention, or even two, but several which changed the face of computer science and gave birth to much of the modern technology we use today. However when she heard that story of her early work at IBM was going to be published she decided to come out as a trans-woman. Since then she has been a trans-activist in order to “illuminate and normalize the issues of gender identity and the processes of gender transition.” Lynn Conway suffered bigotry in the 50s and 60s, transitioned and restarted life as a woman forging an impressive career in a male oriented industry and becoming an inspiration to many. Then, later in life, she risked bigotry again by revealing her path and has fought for justice and equality since then. I had a chance to correspond with her a few years ago and she is a lovely lady. Lynn Conway is my heroine on Ada Lovelace Day. This entry was posted on Monday, March 23rd, 2009 at 11:00 pm	and is filed under Women In Technology. You can follow any responses to this entry through the RSS 2.0 feed. You can leave a response, or trackback from your own site.